Bring a Friend Along to Dance Class for Free! The first week back after the school holidays – 7th-11th September – you can bring a friend along to dance class for free! Drop – in rate for these classes is £6, or £8 if you would like to attend two classes during the week. Bringing a friend is free! All classes MUST be paid for in advance, either online, over the telephone, or in person by cash or cheque, to guarantee your child, and a friends, in class. This is a fantastic one off opportunity, so be sure to book your places in class before they go! The Chatsworth studio is excited to be offering Saturday Musical Theatre classes on Saturday morning for Ages 4 and up. Our London Studio Centre trained teachers Rhiannon and Sarah, run fun and dynamic Musical Theatre classes every Saturday morning, which focus on building confidence, developing coordination and rhythm, and creating imaginative movement. There is great emphasis on having fun and making friends, combining many different dance techniques from classic Jazz and Ballet to West End stage styles, all set to modern music. Per half term, Class 1 costs £48, Class 2 costs a total of £60 per half term. All payments must be made in advance either online, over the telephone, or in person by cash or cheque, to guarantee your child’s place in the class. We do not require your children to wear a uniform; most children wear comfortable clothing and shoes. September is just around the corner, and now is the time to get your little ones enrolled in their favourite ballet classes! Here at The Chatsworth Studio we have a wonderful set of teachers that teach weekday ballet classes for a variety of ages. Ballet is an excellent way to engage children in a creative and artistic way, developing vital skills for everyday life whilst having fun with their friends! Per half term, you pay just £48 for 1 class a week, and £60 for 2 classes a week; we are happy to receive payments online, by telephone, or cash, cheque, or card in person. All classes need to be paid for in advance to reserve your child’s place in that class to avoid oversubscribing. We do not insist your child wears a set uniform; most children wear comfortable clothing and ballet shoes. Thursday night is Ballet night! Every week, a fun and exciting hour long class, perfect for beginners and improvers alike, is run by our ballet teacher, Rhiannon. Each class starts with a core-strength challenging centre barre, some basic ballet exercises that always begins with Pliés (knee bends), and follows through wit h a combination of Tendus, Glissés (pointing the feet)and Grands Battement (leg kicks). You then move onto combination movements, where you begin to lift your legs in the air, perform some basic turning exercises, and start to jump, challenging not only your coordination, but your stamina as well. Set to beautiful, modern piano music, this class is a fantastic way of keeping fit in a creative and artistic way. Wear what feels comfortable; just make sure you can move unrestricted, ballet shoes are preferable, but any dance shoes or even socks/bare feet in also fine! Whether you have done ballet before, or have always fancied giving it a go, this fun class is perfect for anyone wanting to add some dance into daily life! On Sunday 19th April 2015, the team at The Chatsworth Studio travelled to Epsom Downs Racecourse to be part of The New Generation Expo, an exhibition for local families and businesses. We were advertising and displaying not only the extensive Pilates program, but Sarah and Rhiannon were there to promote the various dance classes now set up at the studio, including adult ballet, baby ballet from 18 months+, children’s Ballet, Street Dance during the week and Theatre Dance on a Saturday morning. We had the opportunity to run a children’s dance session to some catchy music, with some of the younger children at the event joining in and showing us some great enthusiasm and creativity. 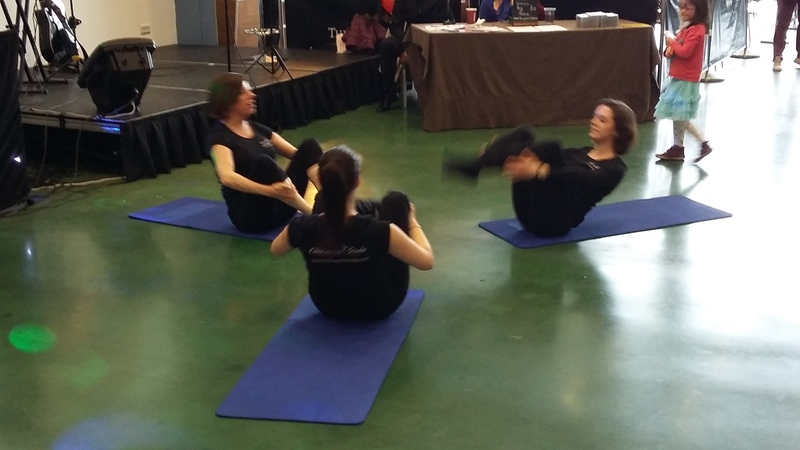 Christine also led a brief Pilates demonstration, giving us the opportunity to introduce Pilates to anyone who might not have previously known much about it. Additionally, Sara Calvo was at the Expo advertising Blend to Balance, her massage business, which runs at The Chatsworth Studio on a Thursday and Friday. Safe to say everyone had a fantastic time, and we look forward to welcoming you to The Chatsworth Studio in the near future. Body Control Pilates Development Weekend. The weekend provides teachers with lectures and workshops to further their training and knowledge. I enjoyed a great three days participating in Performance for pilates course, lectures and workshops with various teachers which will contribute towards my next pilates teacher qualification. 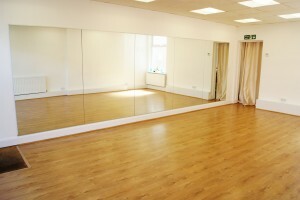 Photographs can be found on Facebook inspiridanceandpilates- Christine Laidlaw. Classes can be booked by appointment with Christine at The Chatsworth Studio on 020 3674 4005, 07814 003679 or info@chatsworthstudio.com. Download the MINDBODY App for easy class booking and payment. Once loaded search for The Chatsworth Studio in the Business search and save as a favourite.